Since September of 1980, American Insurance Brokers, Inc. has built up its reputation as a trusted and reliable commercial truck insurance company. We pride ourselves on our expertise in the field—our clients consistently recommend us! 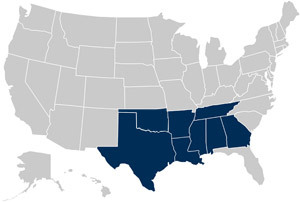 Due to our extensive knowledge and friendly staff, we have grown into a full-service insurance agency and now offer commercial vehicle insurance across seven states, including Louisiana, Texas, Alabama, Mississippi, Tennessee, Arkansas, and Georgia. We provide low-rate primary liability coverage that is based on your driving record, garage location, limited liability, type of operation, and the condition and age of your commercial trucks and vehicles. Our insurance will cover damage and injury to both the insured driver as well as those affected by the accident. We offer a range of coverage limits, which will be laid out during the free quote process. Coverage across state lines is another service we provide if needed. We are knowledgeable in state laws and regulations and provide tips on which coverage may be best for your fleet. With our knowledge of the South and our comprehensive insurance policies, Louisiana drivers have been turning to American Insurance Brokers, Inc. for over 36 years. Based out of Mandeville, LA, we have extended our services to other local regions due to our client satisfaction. If you manage a fleet of trucks in the New Orleans area or another part of Louisiana, we have policies that will cover your needs. We make it easy to get a free quote, add or delete drivers from policies, and can bind policies in less than an hour. We even offer policies that can cover products during deliveries and pick ups. Our relationships with over 35 “A”-rated truck insurance companies allows us to find a policy that’ll fit you and your business’ budget. We currently offer commercial vehicle insurance filing through ICC, MCS90, BMC34, Form E, Form H, OS/OW COI, and SR22. Call us today for your free quote!